HULC – FOP Shvachko V. V.
Human Universal Load Carrier, or HULC, is an un-tethered, hydraulic-powered anthropomorphic exoskeleton developed by Professor H. Kazerooni and his team at Ekso Bionics (formerly Berkeley Bionics). After being under development at Berkeley Robotics and Human Engineering Laboratory since 2000, the system was announced publicly in 2009 when an exclusive licensing agreement was reached with Lockheed Martin. HULC is a battery powered, general purpose load carriage platform. It was originally developed to assist soldiers during combat. HULC could be used to help lift heavy loads while exerting minimal effort, with soldiers currently going into combat with up to 59 kilograms of combat gear. Also, it could be used as a framework for body armor or sensor arrays that would allow for better situational awareness during combat. HULC is intended to help soldiers in combat carry a load of up to 91 kilograms (distributed between the front and back of the device) at a top speed of 16 kilometers per hour for extended periods of time. Loads attach to the exoskeleton system and are carried by the exoskeleton, bypassing the human operator. The HULC provides power assistance at the hip and knee joint. The effective forces felt by the operator are dramatically diminished reducing the risk of muscularskeletal injuries. HULC is also easy to put on. It arrives folded in a small package, so soldiers just have to stretch out a leg and step into foot beds underneath the boot. Straps then wrap around the thighs, waist and shoulders. Sensors in the foot pads relay information to an onboard microcomputer that moves the hydraulic system. The flexibility of the system allows soldiers to run, walk, kneel, crawl, and even go into low squats. HULC can be adapted for specific missions such as logistics with the addition of accessories. Lockheed Martin recently released a new product card for a lift assist device that attaches to the HULC system and provides the user with power assisted lift. Lockheed Martin is currently developing a new, ruggedized HULC system. The upgraded HULC system includes optimized control software, extended battery life and human factors improvements for quicker and easier sizing to each user. Lockheed Martin is also exploring exoskeleton designs to support industrial and medical applications. 1. Human Universal Load Carrier. – Mode of access: http://en.wikipedia.org/wiki/HULC. 2. Homayoon Kazerooni. – Mode of access: http://en.wikipedia.org/wiki/Homayoon_Kazerooni. 3. Berkeley Robotics and Human Engineering Laboratory. – Mode of access: http://en.wikipedia.org/wiki/Berkeley_Robotics_and_Human_Engineering_Laboratory. 4. HULC. – Mode of access: http://bleex.me.berkeley.edu/research/exoskeleton/hulc/. 5. Ekso Bionics. – Mode of access: http://en.wikipedia.org/wiki/Ekso_Bionics. 6. Ekso Bionics – An exoskeleton bionic suit or a wearable robot that helps people walk again. – Mode of access: http://www.eksobionics.com/. 7. Lockheed Martin. – Mode of access: http://en.wikipedia.org/wiki/Lockheed_Martin. 8. Lockheed Martin – HULC. – Mode of access: http://www.lockheedmartin.com/us/products/hulc.html. 9. HULC. – Mode of access: http://www.lockheedmartin.com/content/dam/lockheed/data/mfc/pc/hulc/mfc-hulc-pc-01.pdf. 10. HULC with Lift Assist Device. – Mode of access: http://www.lockheedmartin.com/content/dam/lockheed/data/mfc/pc/hulc/mfc-hulc-pc-02.pdf. 11. 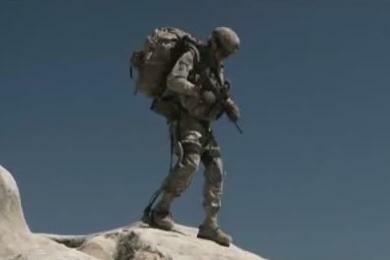 Lockheed Martin – Human Universal Load Carrier (HULC) [480p]. – Mode of access: http://www.youtube.com/watch?v=hWumbs9MQdM. 12. HULC Exoskeleton Promo Vid. – Mode of access: http://www.youtube.com/watch?v=KZ_qR8zCLDc. 13. Lockheed Martin HULC Promotional Video. – Mode of access: http://www.youtube.com/watch?feature=player_embedded&v=-XrwGDjOuOs. 14. Powered exoskeleton. – Mode of access: http://en.wikipedia.org/wiki/Powered_exoskeleton. 15. The Computer Revolution/Artificial Intelligence/Robotics. – Mode of access: http://en.wikibooks.org/wiki/The_Computer_Revolution/Artificial_Intelligence/Robotics.